I spotted a clever solution spotted whilst visiting a primary school undergoing a refurbishment and extension scheme last week. 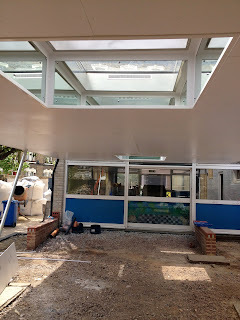 Whilst providing an important new external play area that is covered between two reception classrooms, skylights have also been introduced to increased the natural light in what would have been a potentially dark area. 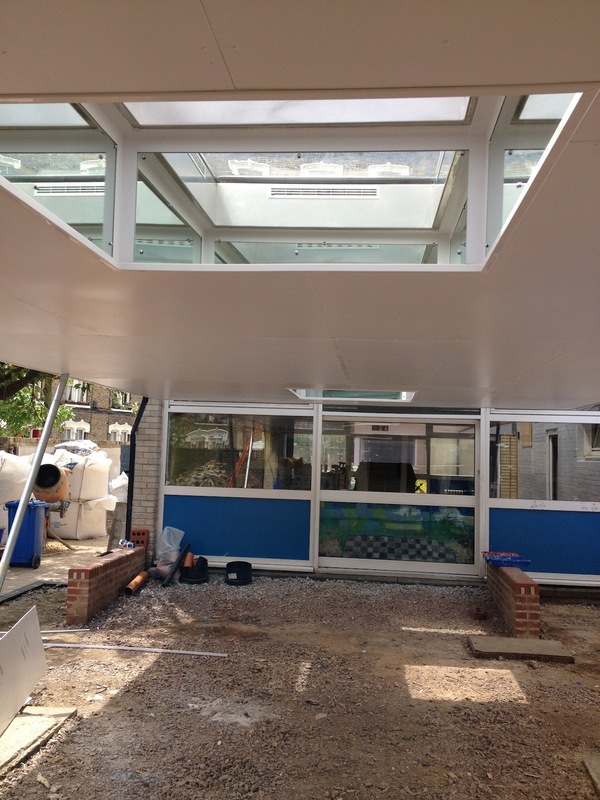 It will really contribute to what should be a fabulous space. What is a clever bit of design (but not that new an idea) is that the vertical faces of the skylight are in fact mirrors not glass. Not only does that help reflect daylight - it also adds a really interesting (and endless) effect for those underneath. It should be really effective space. It's hard to see in the photographs - but it is a great and fun idea! Perfect placement of the mirror is very helpful for passing daylight over the inner space of the home so it should be wisely designed as daylight is very important to keep us energetic. Thanks for a better idea.